Professional military genealogy specialist Forces War Records will be releasing a new, exclusive and free-to-view collection that our team has transcribed on Tuesday 15th September, Battle of Britain Day. Please keep following our site and social media platforms for further information. 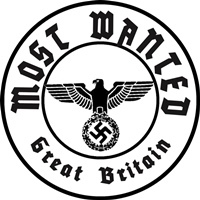 The new collection is a chilling hit-list of the British people ‘Most Wanted’ by Adolf Hitler and the Nazis in the event of a successful invasion of Great Britain in 1940. Forces War Records has now digitised and translated into English, for the first time ever, the full list of 2,820 names including ‘The Real James Bond’ (AKA Conrad Fulke Thomond O’Brien-ffrench) and ‘Britain’s Schindler’ (AKA Major Francis E. Foley). Full details of this exclusive free collection will be revealed tomorrow. Forces War Records was created in 2008 for people who were looking for information on their military ancestors but had come up against dead ends with the usual genealogy sites. We have now gone on to add over 1.3 million WW2 records, 1.9 million WWI records, 391,554 Boer War records, plus many others, bringing our total collection up to 7 million records. 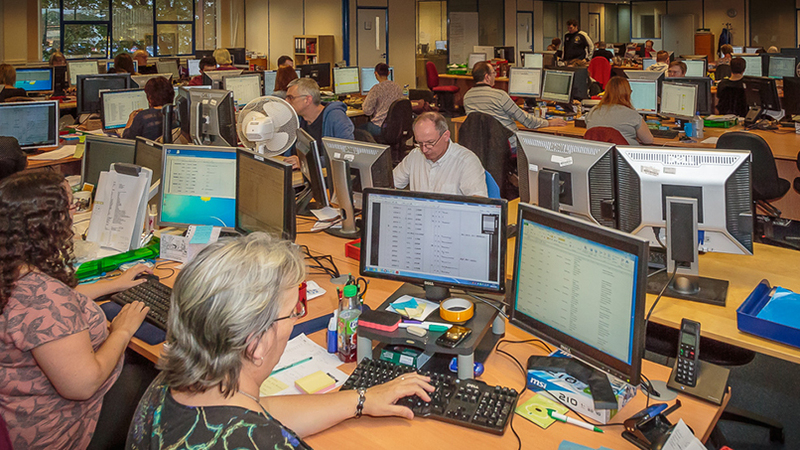 We employ a team of over 60 people in our UK offices, including ex-military veterans, historians, genealogists, handwriting experts and data entry operators, who add new records and data to the site as accurately as possible. Recently Forces War Records has been working on several exclusive collections, including the “Military Admissions and Discharge Registers WW1”, classified as MH106 at the National Archives. This is made up of 1.5 million admissions and discharge registers from a range of Field Ambulances, Casualty Clearing Stations, general and stationary hospitals, ambulance trains and medical transport ships, as well as hospitals back home in England. These records are handwritten and absolutely littered with medical and military jargon and abbreviations. Although available to browse at the Archives in Kew, the original documents are very hard to glean any useful information from, as they are organised by medical unit rather than last name, and those whose relatives were injured rarely know exactly where they were treated. Even if they did, the documents at Kew are not indexed, so they’d have to wade through volume after volume to find the right unit, and page after page to discover their ancestor’s name. On our website, a simple search by name will reveal the same information immediately! The collection can shed new light on those for whom no other personal records have so far been found, and where records do exist, corroborate and expand on known information about an individual’s service life, a genuine ‘brick wall’ breaker for those wanting to find their ancestors and better understand the Great War and its real human cost. Other exclusive collections include a new collection of ‘WWII Daily Reports (missing, dead, wounded & POWs)’. The National Archives again holds this collection, classed ‘WO 417: Army Casualty Lists (1939-1945)’, but their records are classified by date of injury/death/capture rather than name, so unless you know exactly when your ancestor was reported as a casualty you will really struggle to find them. It can be especially difficult to find those who survived the war; there are very, very few of these records available for the Second World War, since most are still retained by the MOD for reasons of data protection. The only records you will be able to find for those who survived (without paying the MOD for a search, for which they are likely to need a service number to find anything on those with common names) are POW records, Gallantry Awards… and now casualty reports. Those who were wounded or reported missing (but yet to be confirmed as POWs) are generally only to be found here; each record gives the rank, Service Number, date of becoming a casualty/being reported missing, and type of casualty if applicable. Our UK team is currently adding information at a rate of around 250,000 new records each month. As well as our own digitisation projects we also license collections from a variety of sources, and we are constantly cross-referencing and adding new data. Finally, have you ever wondered how Forces War Records transcribes its records? We've put together a short video to show you exactly what steps we go through to take a record from its original source onto the website and into your home. Subscription to Forces War Records costs just £8.95 for four weeks’ access. This gives you full unlimited access to everything we hold.